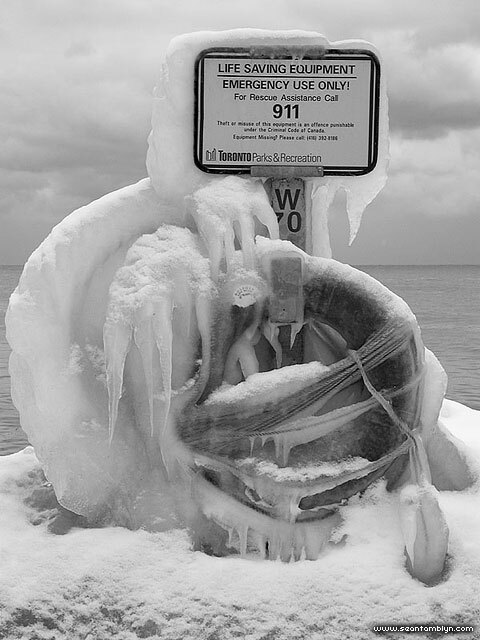 Lifesaving gear on the boardwalk sits useless, encrusted with heavy ice, after a good winter storm in 2004. This entry was posted on Monday, July 11th, 2011 at 8:44 pm. It is filed under Ice, Landscapes, Once There Was Winter Part II, Phenomenon and tagged with Nikon Coolpix 4500. You can follow any responses to this entry through the RSS 2.0 feed.